When Randy Goldberg and David Heath founded Bombas – the stylish sock brand with a unique one-pair-bought, one-pair-donated mission – they predicted that it would take 10 years to reach the “one million pairs donated” milestone. They were off by about seven-and-a-half years. In September 2016, Bombas announced that one million pairs of its purpose-built socks had been donated to homeless shelters across the U.S., where socks are the number-one most requested item. This occasion deserved a celebration, and TURNER set out to create a buzz-worthy moment that showcased Bombas’ rapid rise and righteous approach. TURNER suggested creating a “Thank You” video called A Million Thanks that would tell the story of Bombas’ journey from the start and offer thanks to everyone who supported the brand on the road to the million-pairs milestone. We also knew of a great visual hook. From the very beginning, David had promised to get a tattoo of the Bombas logo on his arm if/when the company reached the millionth pair mark. He had no intention of breaking that promise – and we wanted to capture that moment on film. Additionally, to engage with past partners, influencers, media and celebrities and thank them for their support of the brand, TURNER recommended creating a special “Celebration Box” to produce a shareable moment tied to the milestone. 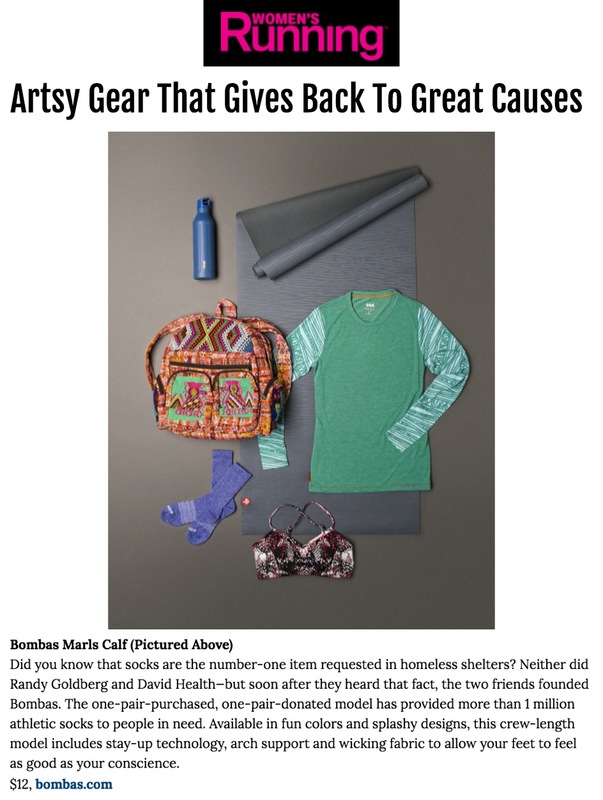 A call to action was included encouraging Bombas supporters to share on social media in some capacity and in turn the brand would donate on their behalf or to a shelter of their choice. Through our strategic press outreach to targeted long- and short-lead media, Bombas’ news was highlighted in such outlets as Good Housekeeping, Modern Luxury Manhattan, The Manual, Well + Good and Women’s Running. As for the Celebration Box, TURNER secured social placements from editors and writers at ELLE.com, Harper’s Bazaar, Good Housekeeping, Teen Vogue, and GQ. 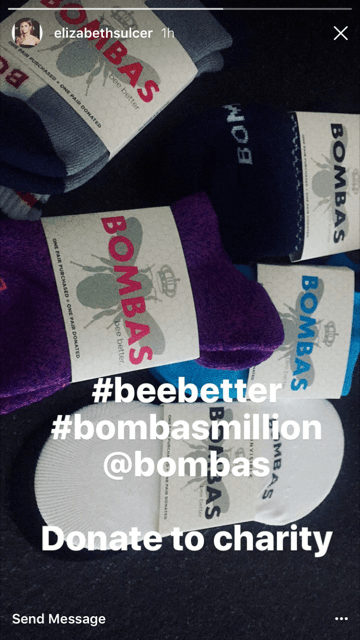 Now … on to Bombas’ next million pairs!